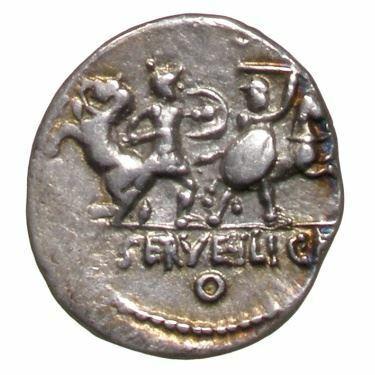 M. Servilius Vatia Isauricus was one of the moneyers for the year 100 BC. He was probably the brother of P. Servilius Vatia Isauricus, the consul for 79 BC. The cognomen Isauricus celebrates the victory of his brother against the Isaurian Pirates in Cilicia.